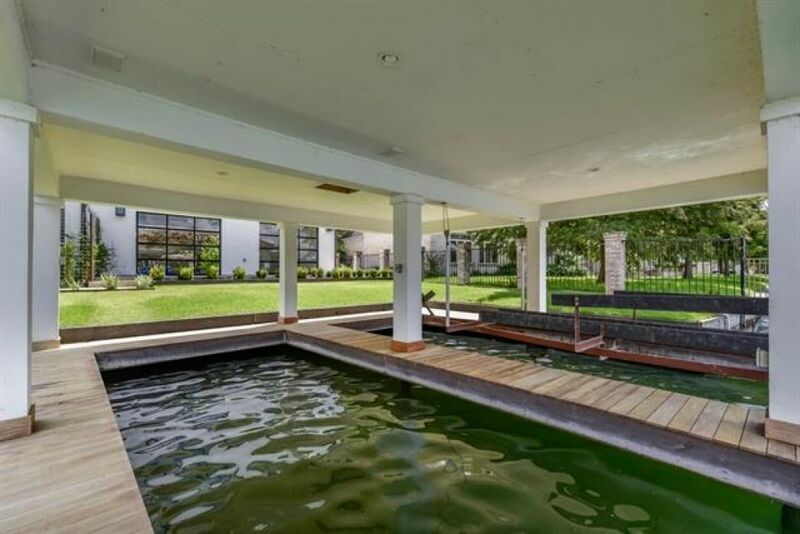 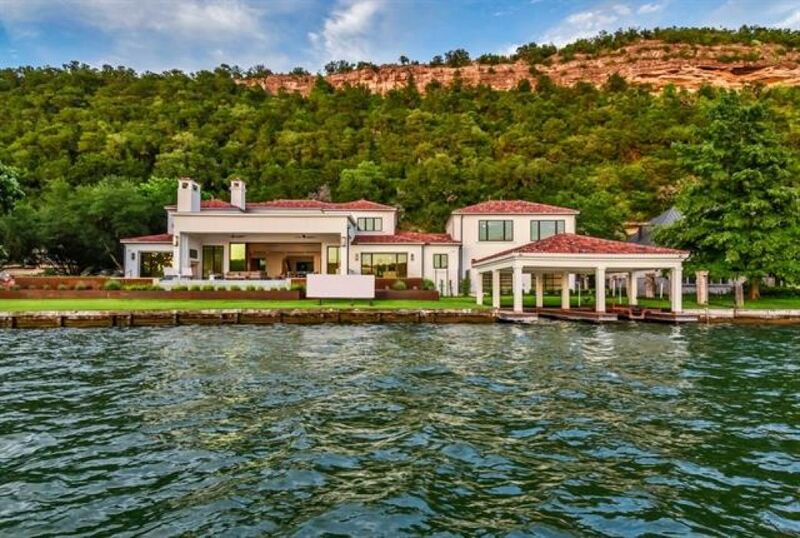 Literally on the water's edge, you'll feel as though you could dive from the front door directly in to the lake. 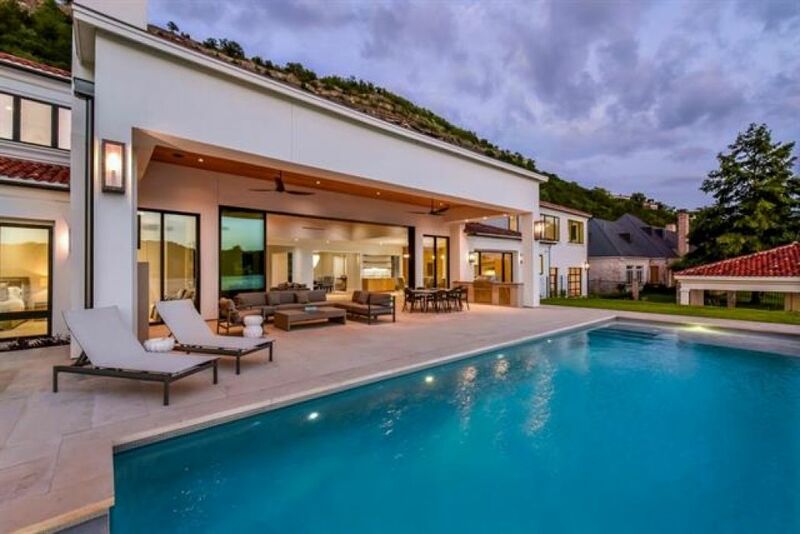 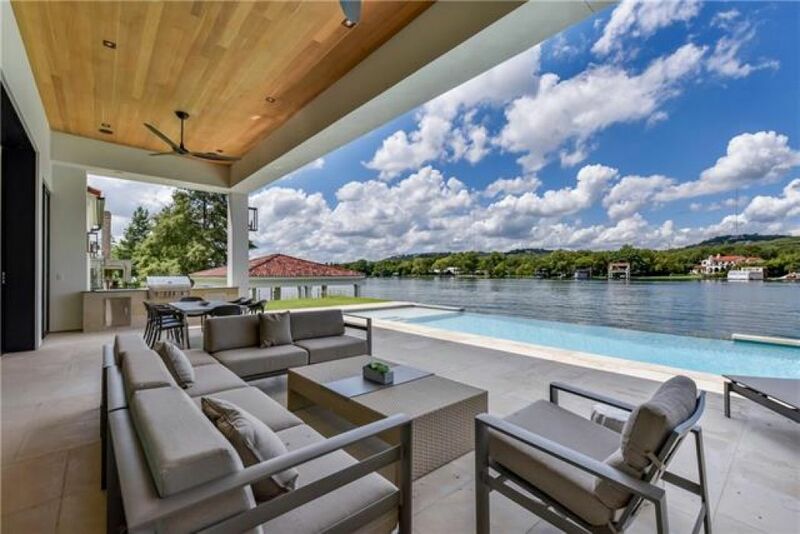 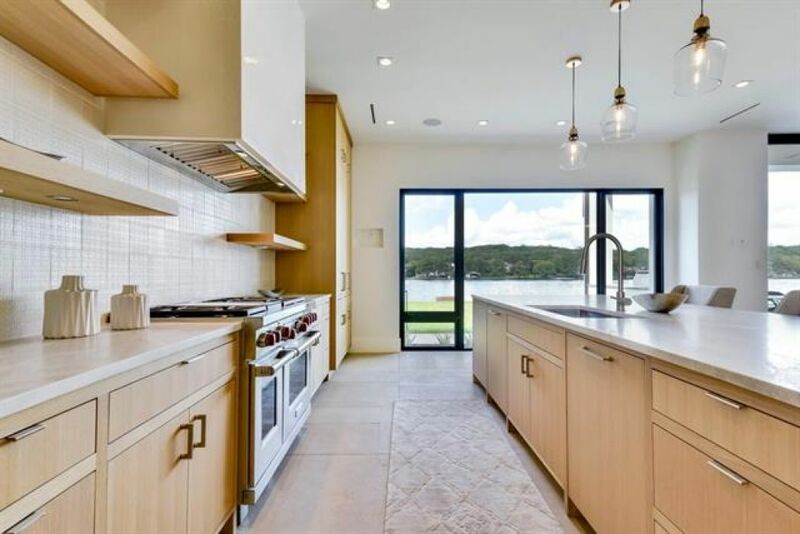 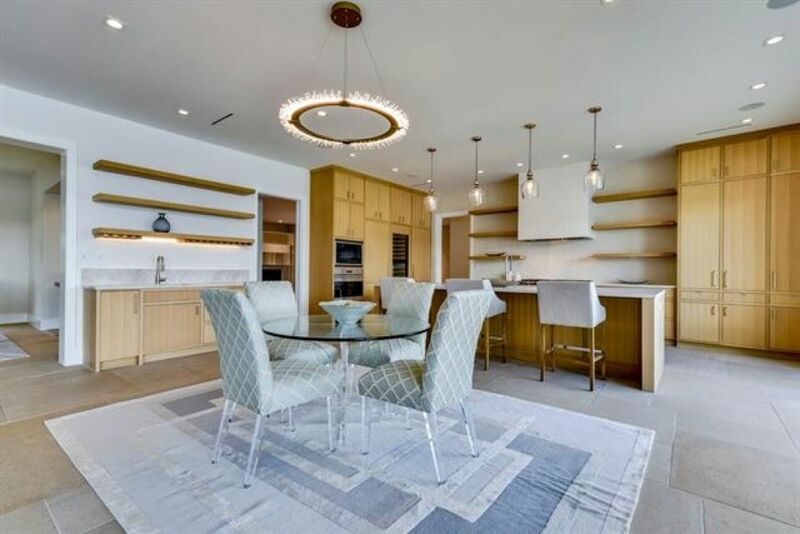 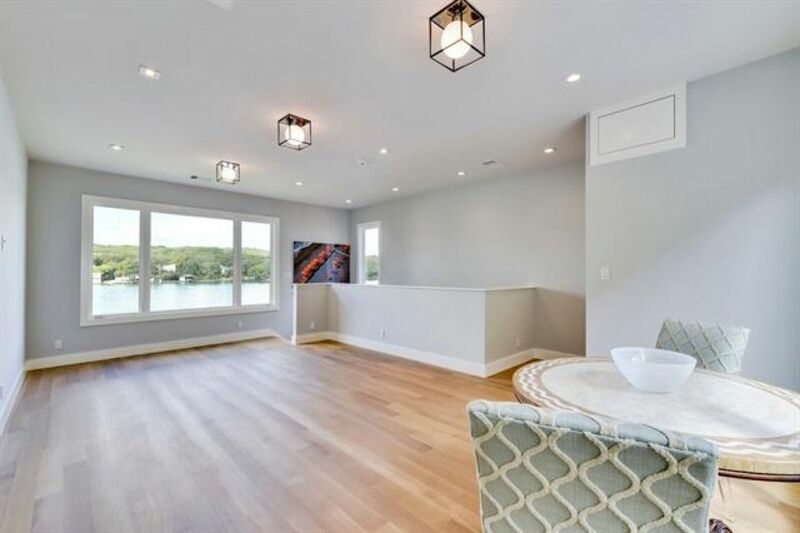 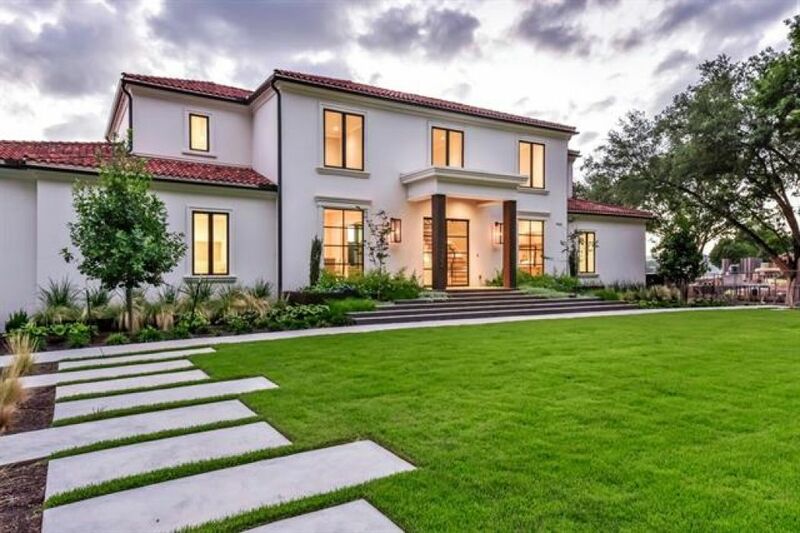 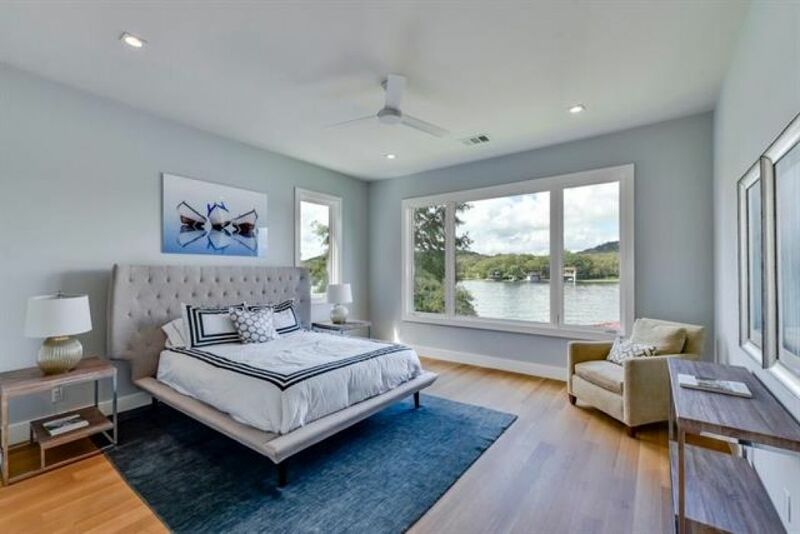 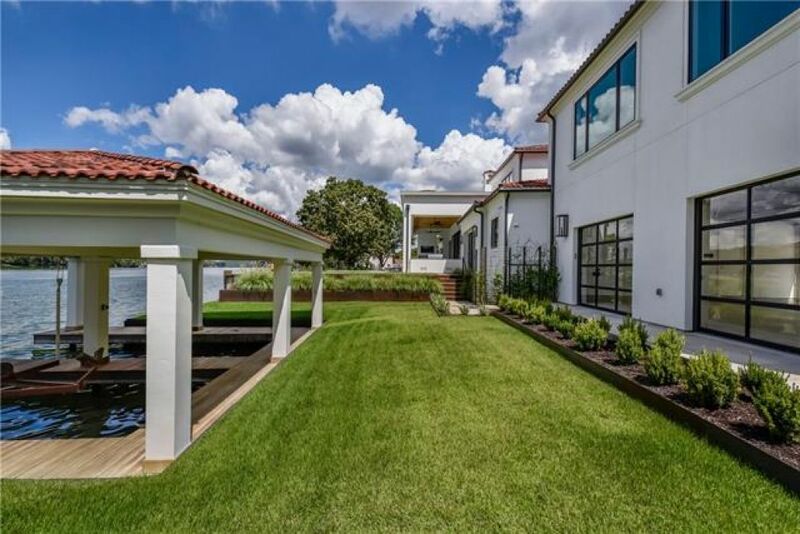 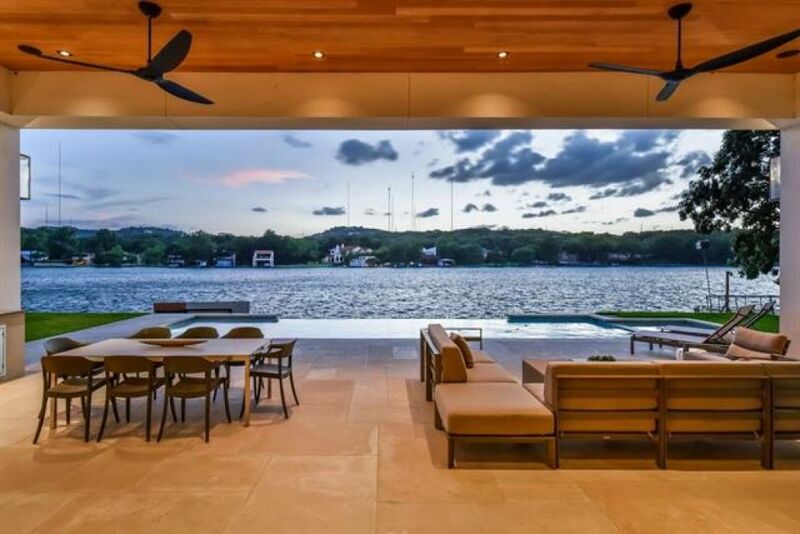 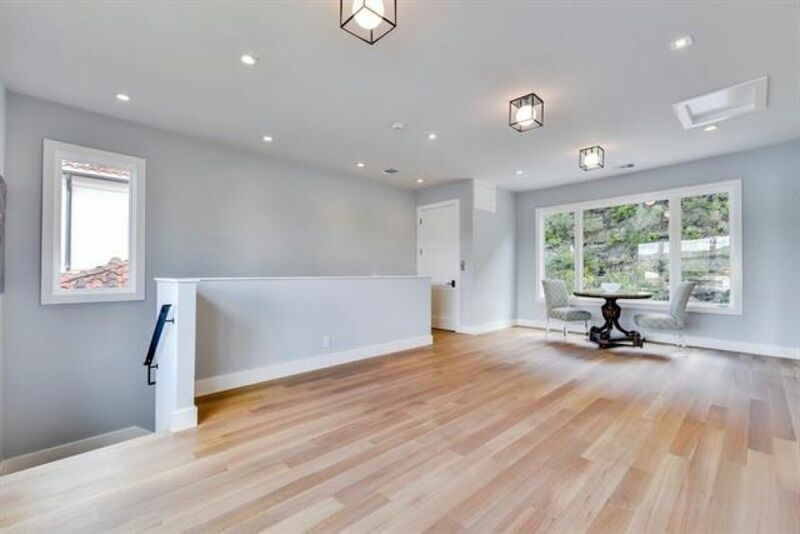 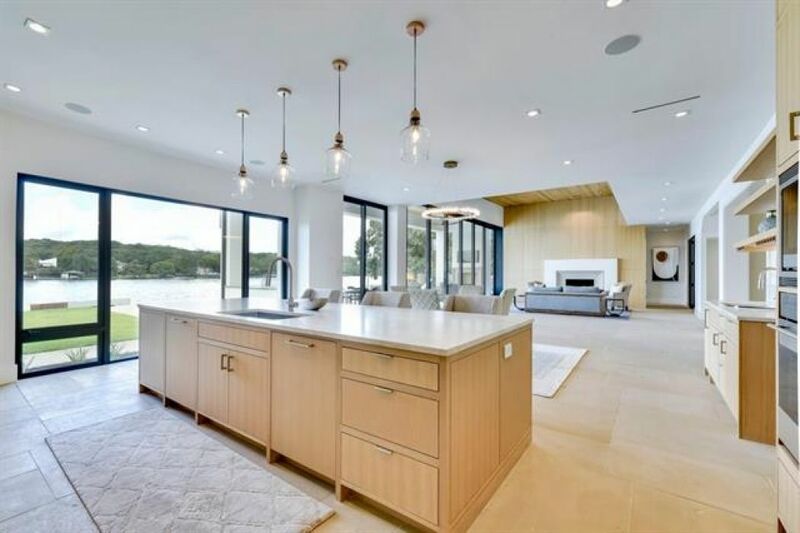 With 150 feet of prime Lake Austin waterfront this stunning remodel by Watermark Homes takes every advantage of the lake and rolling hill views. 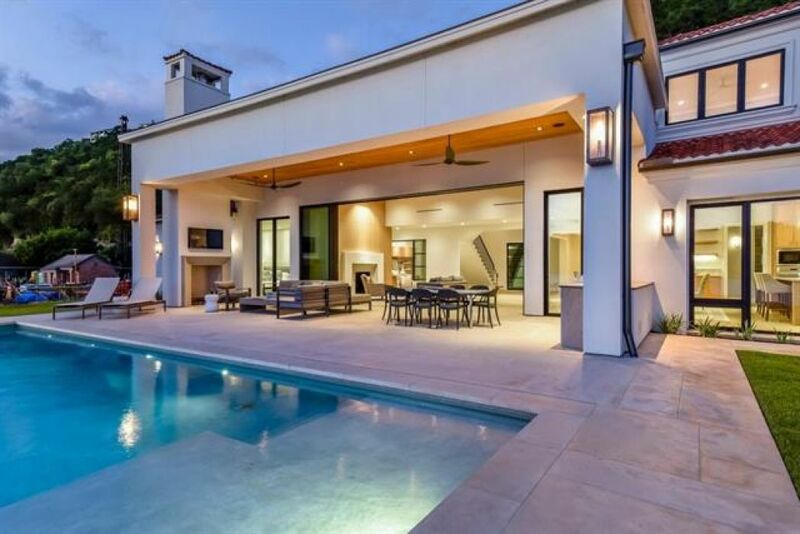 Clean Santa Barbara-style architecture complements the surrounding beauty and features the traditional red-tile roof, stucco walls and steel-framed windows. 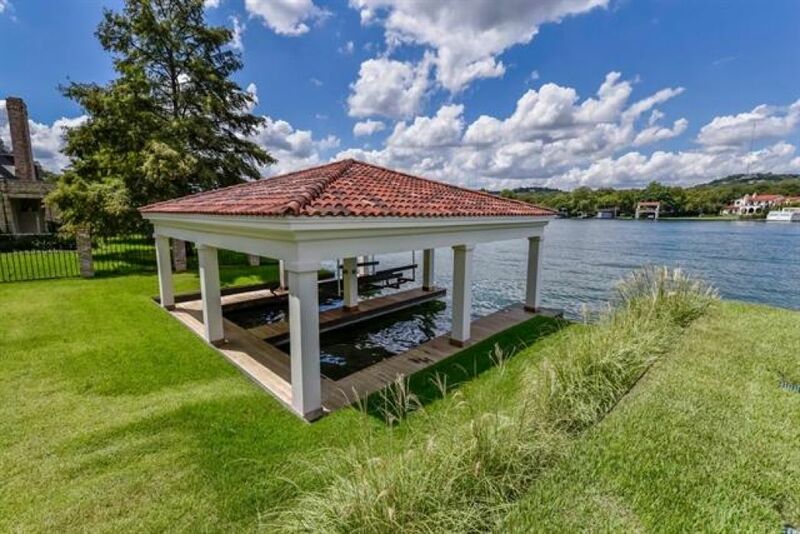 A stroll across the pool deck and lawn to the two-slip boat dock means a spin on the lake is only moments away. 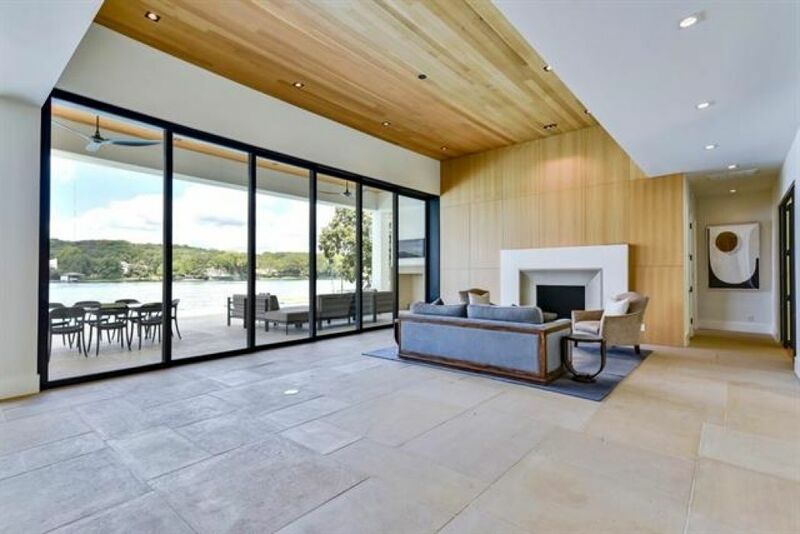 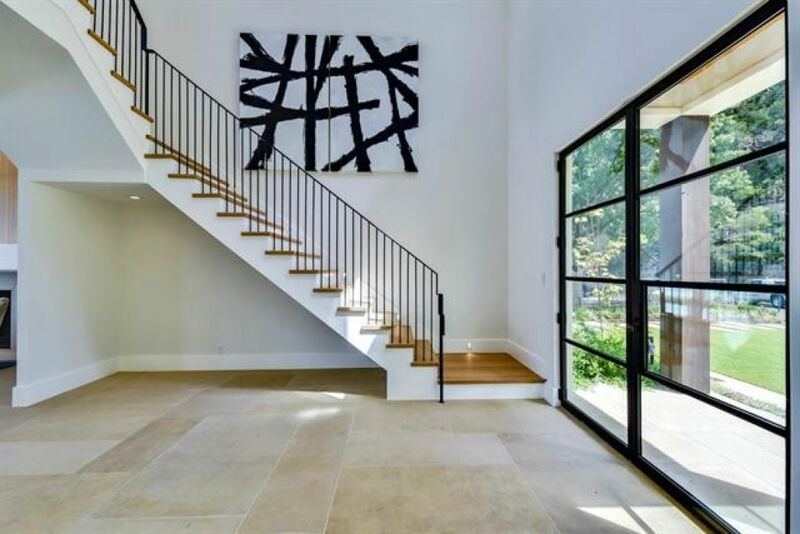 The interior is outfitted in materials that enhance and celebrate the view as well; oversized rough-hewn stone floors that contrast with smooth white walls and a wood ceiling treatment that accent the great-room fireplace. 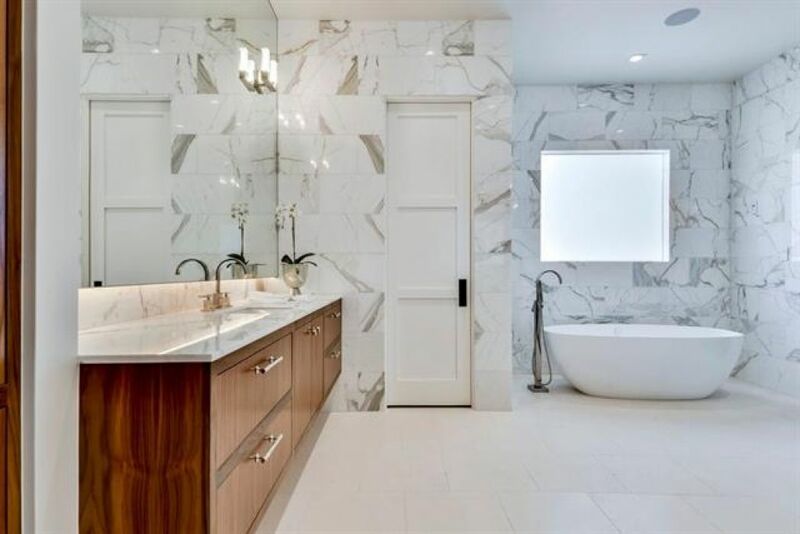 Richly-grained wood cabinetry is set off by cool Carrera marble and patterned Mexican tile in the kitchen and bathrooms. 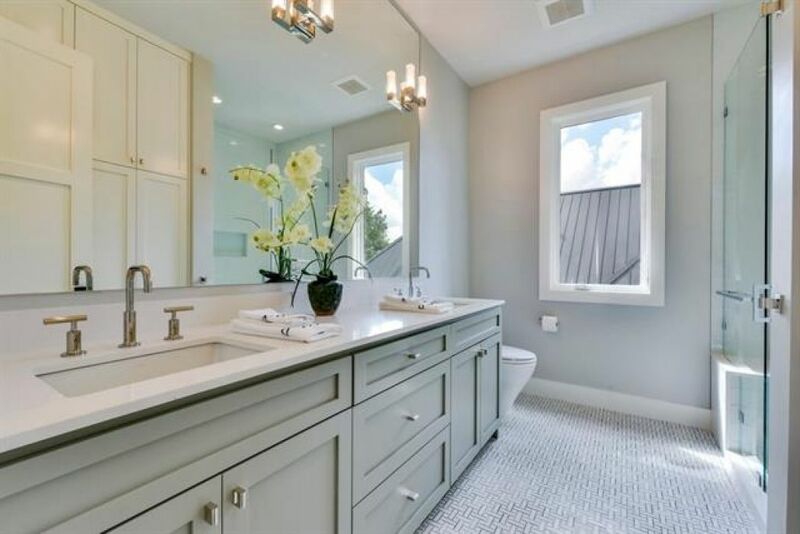 Clean and simple in appearance, every finish is selected and implemented with the utmost care and quality. 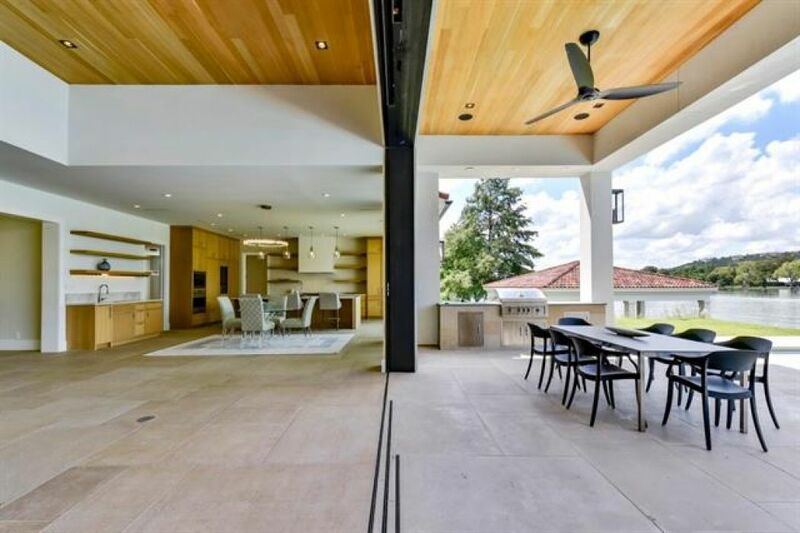 The home has a sprawling layout with plenty of room for friends and family. 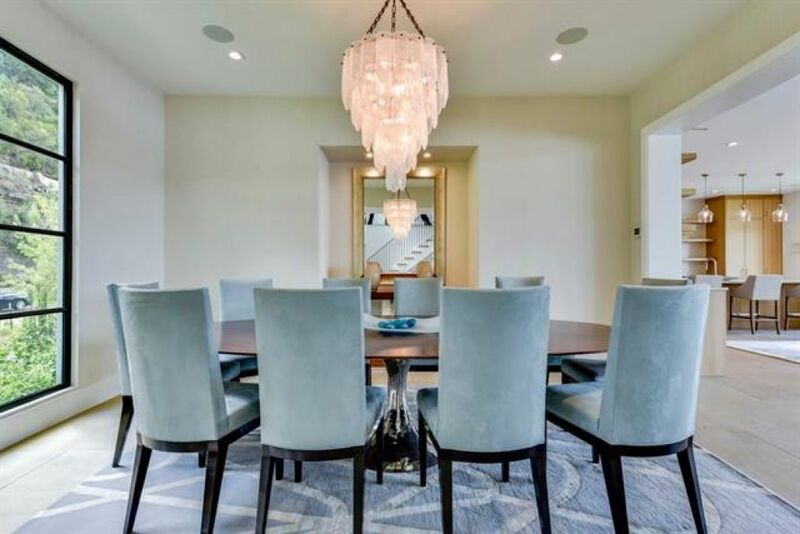 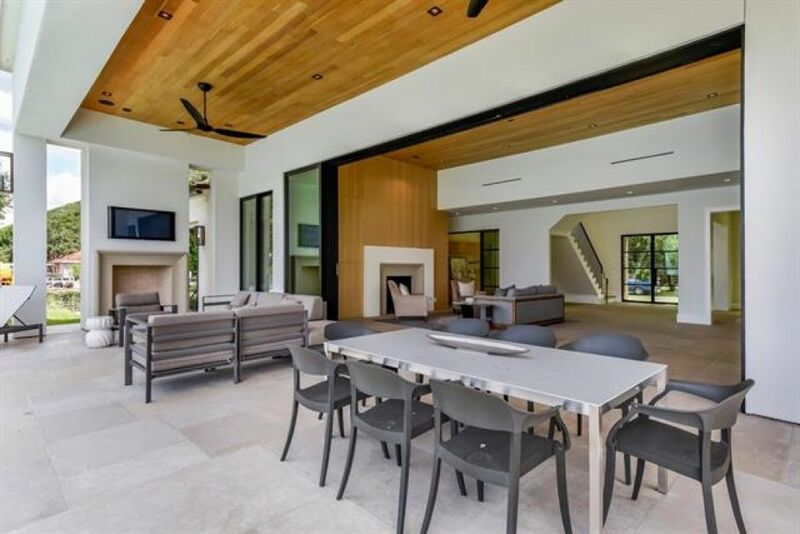 Living areas include a media room, formal dining, a private study, and a large great room which seamlessly opens to an oversized patio, outdoor kitchen, and negative-edge pool. 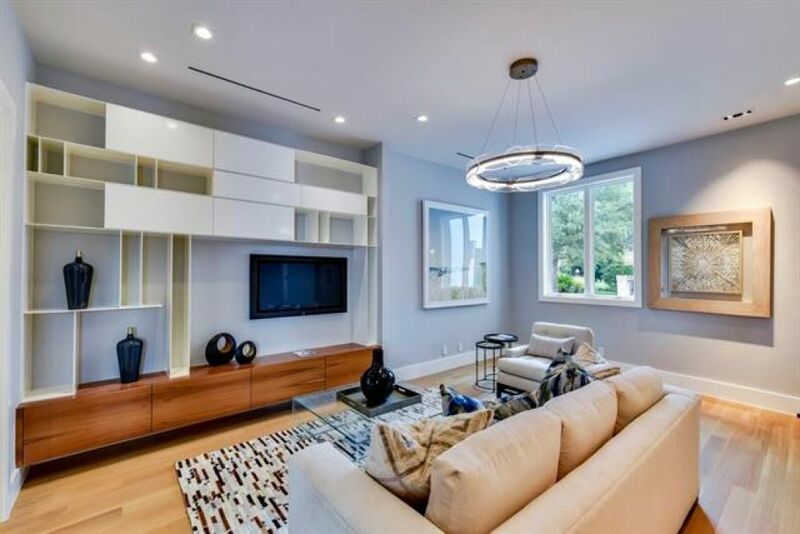 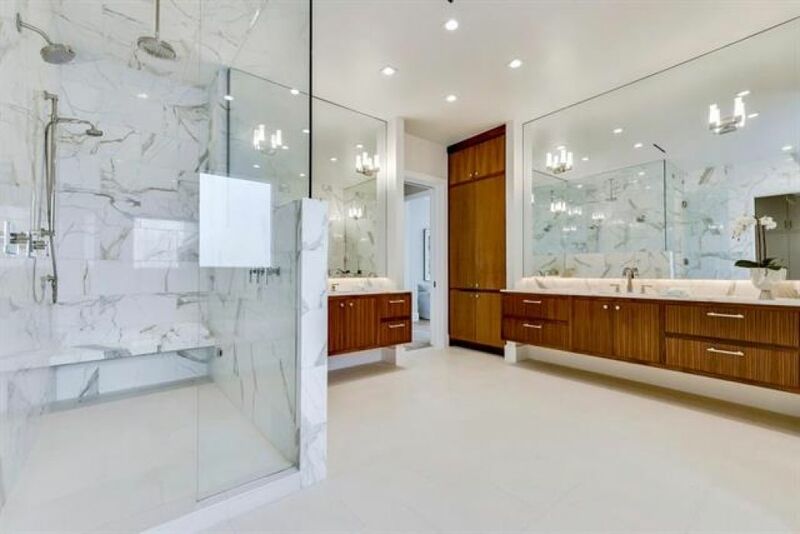 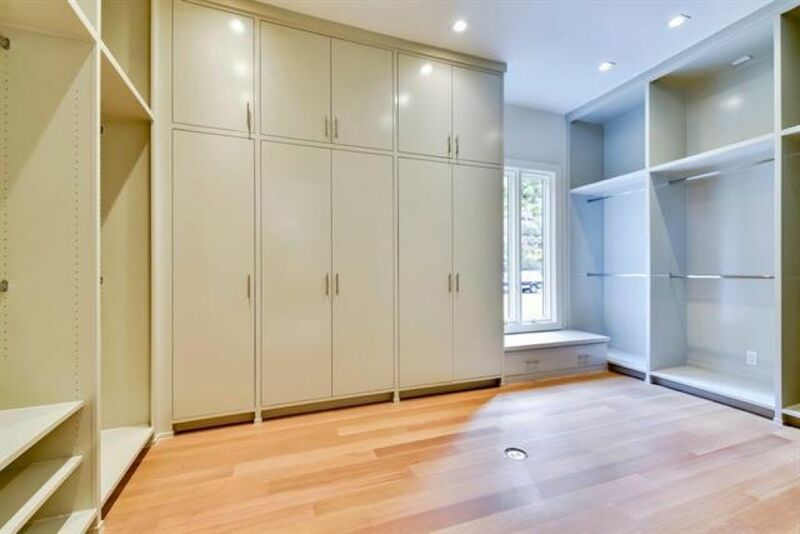 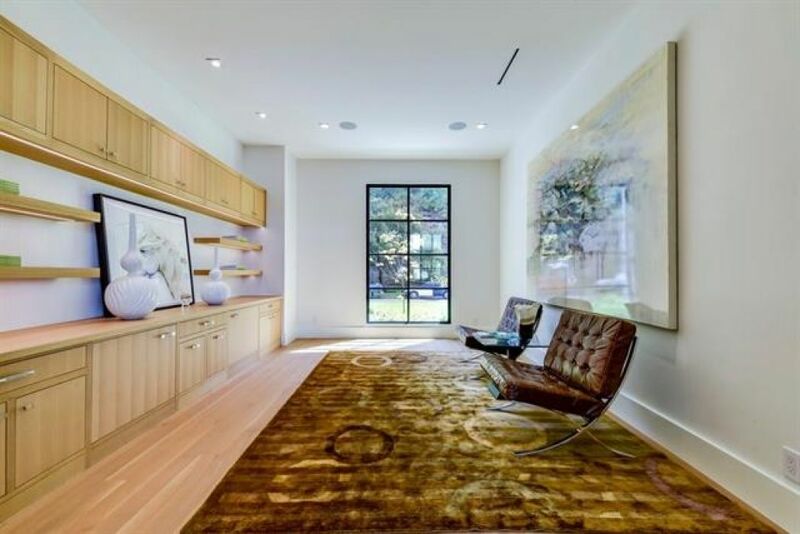 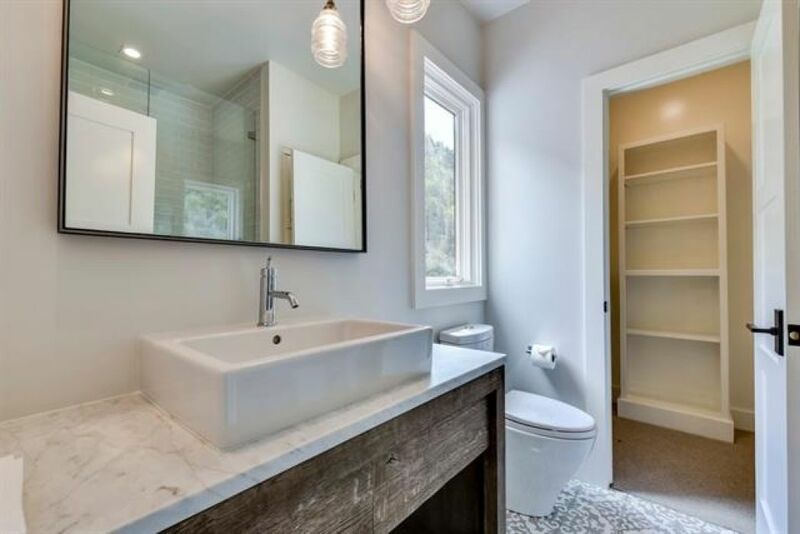 A luxurious first-floor master suite, also open to the patio, includes a sitting room, marble-clad bath and huge closet. 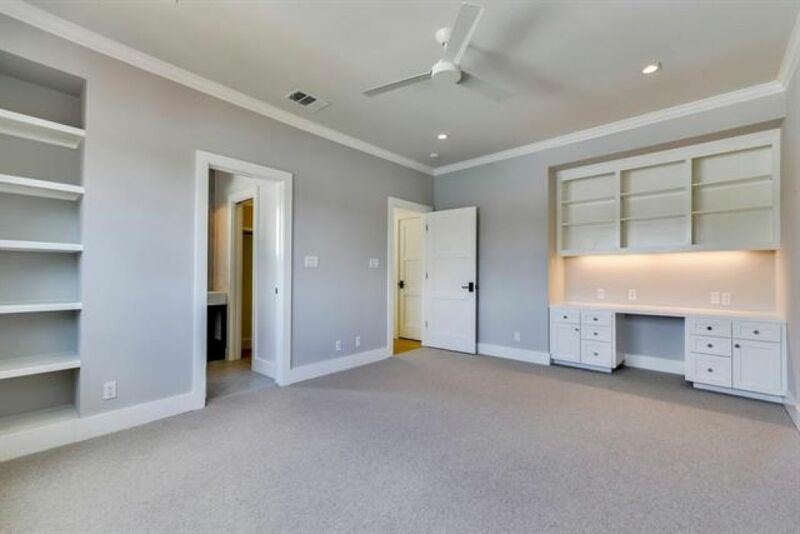 The second floor hosts four large bedrooms plus private guest bedroom. 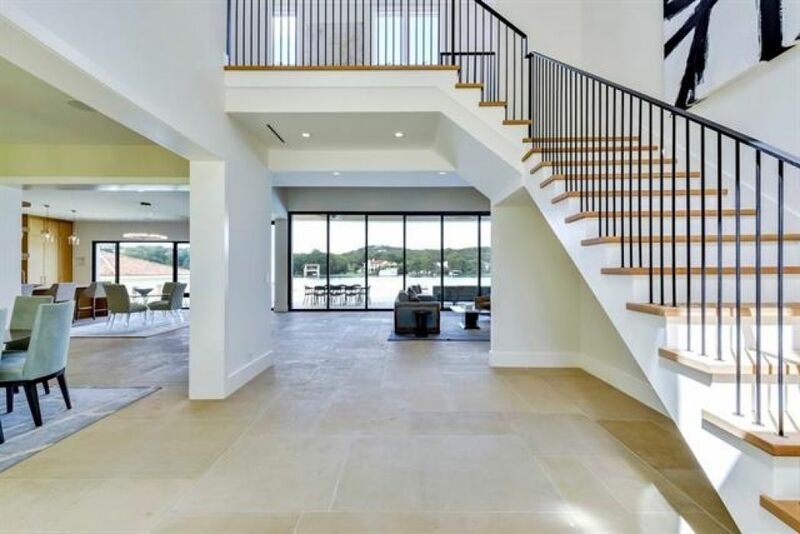 An attached above garage apartment has its own living space/game room that overlooks the lake.